This entry was posted in Animals, Happiness, Humor, Nature, Texas, Thinking Aloud and tagged angels singing, animals, Birthday, cattle, December, fun, gifts, good things, happiness, Holiday, humor, international holidays, nature, party, seasons, Texas Longhorn by kathryningrid. Bookmark the permalink. 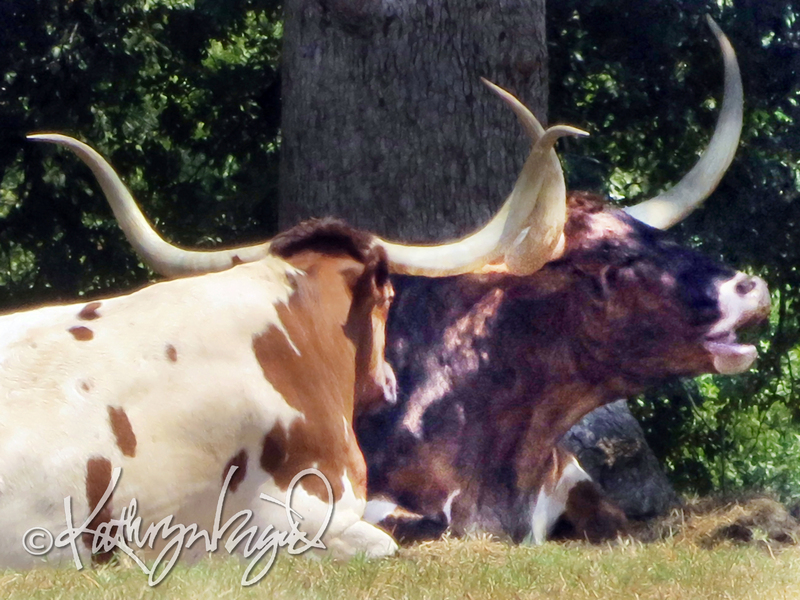 We are alike in our “LOL” (love of longhorns)…..they are few & far between in these parts as you are aware….makes me wanna travel!!!! Aren’t they! I have a crush on them all.